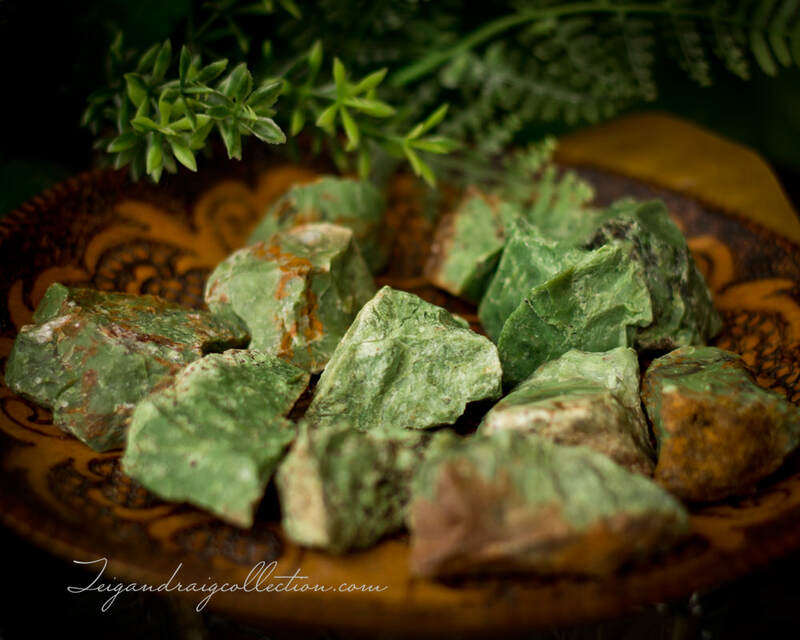 Gorgeous green chrysoprase is a stone of spiritual protection, eloquence, balance, stability, harmony, and hope. Associated with the Heart and Sacral Chakras, it opens and activates the energies of these Chakras. 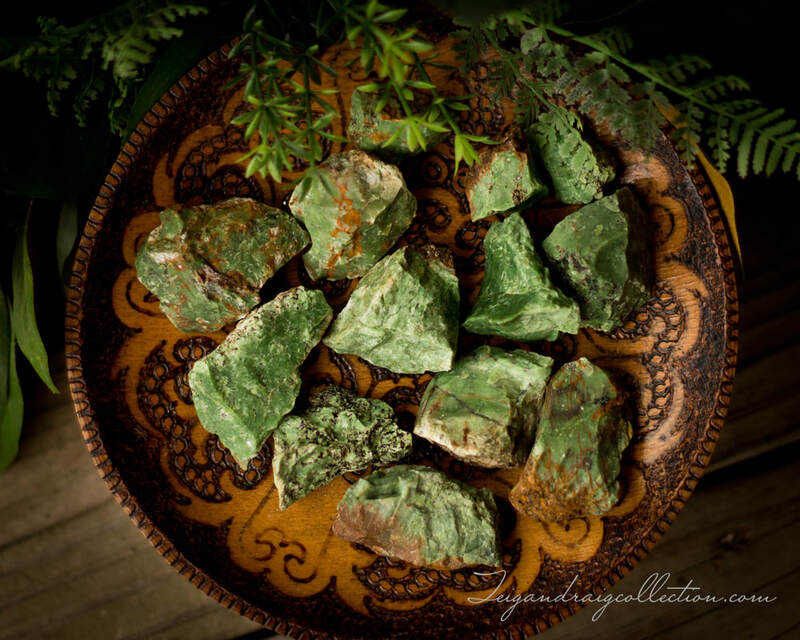 Chrysoprase deepens meditative states, and promotes a love of truth. It encourages fidelity in business and personal relationships. It heals the inner child and can help mend a broken heart. 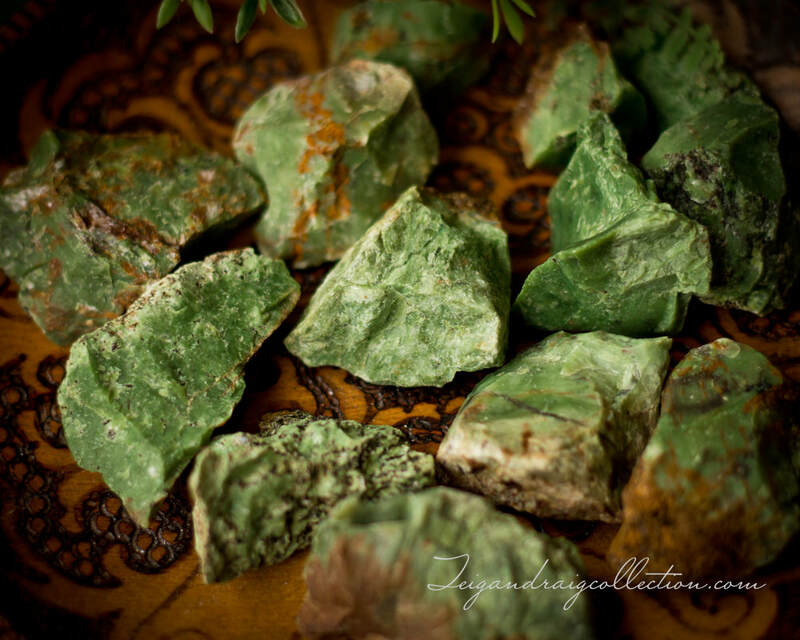 Chrysoprase stimulates acceptance of oneself and others. Every best effort is made to accurately represent the true color and appearance of the crystals and gemstones on this site. Please keep in mind that crystals and gemstones are a natural material made by nature. Stone colors may vary slightly from that shown. Due to differences in color monitors and viewing device screens you may also notice slight color differences in actual product received. Please allow me to choose your intuitively.